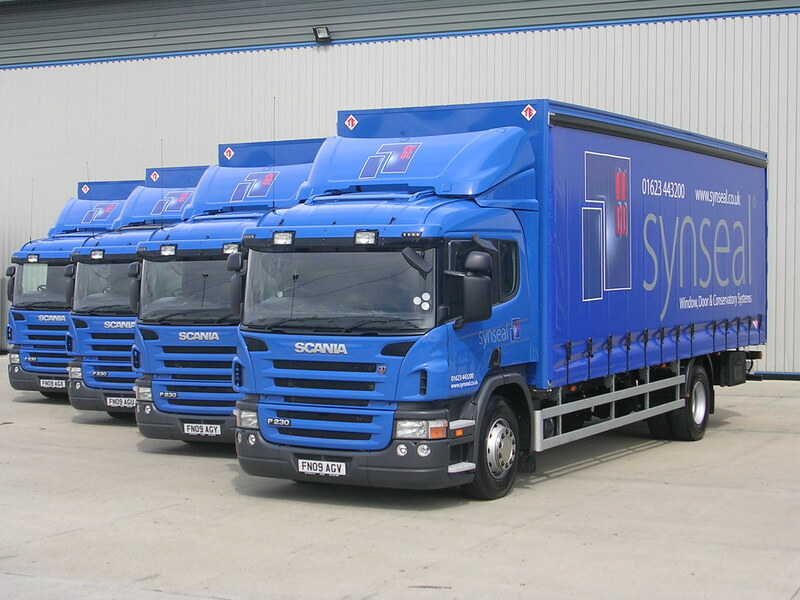 Synseal Extrusions Ltd of Common Road, Sutton in Ashfield choose Keltruck Ltd to add two new vehicles to their fleet. 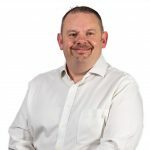 The deal was made between Stephen Fletcher, Account Manager of Keltruck and Don Porter, Fleet Manager of Synseal Extrusions Ltd. 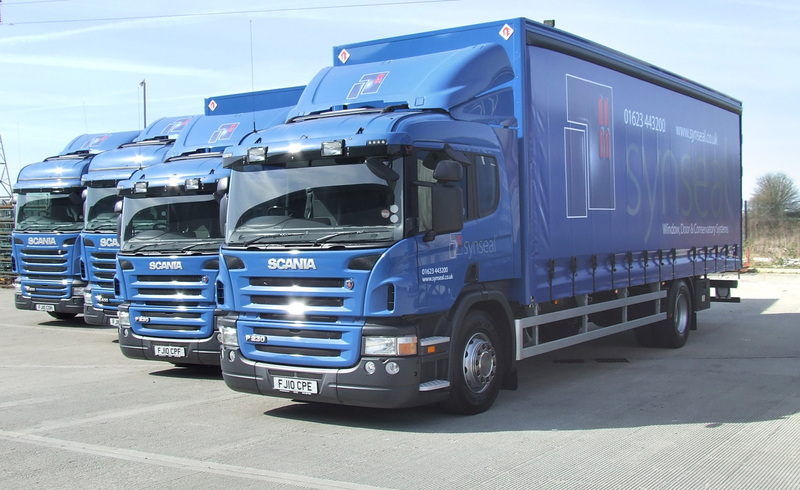 The vehicles taken were a P235DB4X2MNAS and a R405LA6X2/4MNAH and are the first four of seven new vehicles Synseal have ordered with Keltruck. They are new additions to their current 39 vehicle fleet and will be used to deliver their products to their customers nationwide. The deal was enhanced with a five year ‘Support Programmes’ package on each vehicle which means they will have full repair and maintenance all managed from the Keltruck Sutton Branch located headed up by Branch Manager Anthony Smeed, just a few miles away and backed up by over 94 nationwide service points which are never more than phone call away should the driver require assistance giving full peace of mind. Don Porter commented “Keltruck Sutton in Ashfield offer and give a very good service and will go beyond expectations in customer service”. He continued to say that, “We looked at various manufacturers and found the Scania vehicle range to be very robust vehicle at a very competitive price”. Established in 1980, Synseal Extrusions Ltd started as a small retail showroom based in Sutton in Ashfield and within 18 months they had 13 showrooms across the East Midlands. Today they operate from a 31 acre site with 600,000 square feet of factory and can proudly say that one in every four conservatory roofs is a Synseal roof.